The Nassau Queens PPS (NQP) Partner Connection publication is meant to serve as a means of distributing pertinent information on events that may be of interest to you. If you have questions or need more information about the events listed, please see the contact information listed within the event’s details. NQP does not have more information about events other than what is listed in this email. If you would like to contribute event information to this publication, send an email to info@nq-pps.org . Also, be sure to check your inbox for our monthly newsletter, NQP Pulse. 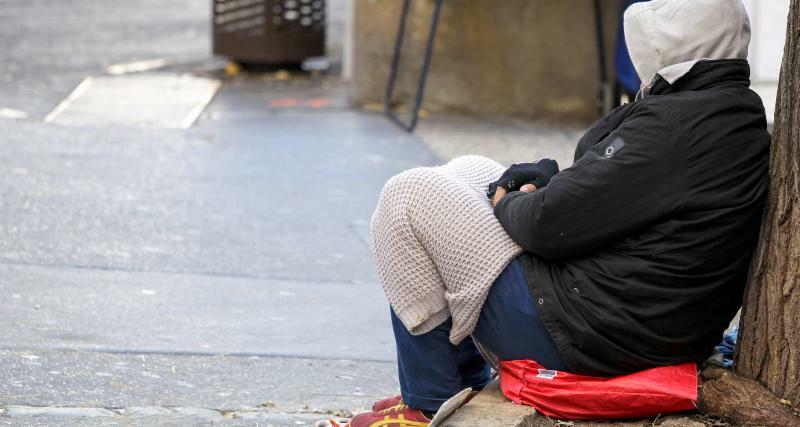 The New York City Department of Health and Mental Hygiene and NYC Reach are hosting a webinar on HomeBase: the NYC Human Resources Administration's program to prevent homelessness. This webinar will explain the full scope of services provided by HomeBase to families and individuals who are experiencing housing instability or are at risk of entering the shelter system. You'll also learn how your patients can access these services. This webinar is ideal for healthcare providers, social workers, case managers, community health workers and other staff in a position to identify housing instability among clients. The New York City Department of Health will host a webinar on best practices and lessons learned with participants from the Value-Based Payment Pilot Program. The New York State Department of Health (DOH), Office of Health Insurance Programs, Bureau of Social Determinants of Health, is launching a new initiative to identify innovative ideas to effectively address the Social Determinants of Health for Medicaid members across New York State. The intent is to solicit input from interested parties across the state and around the country. Innovations will be reviewed by a team of healthcare experts identified by DOH, and top innovations will receive special recognition. All innovations, with the consent of the submitting organization, will be shared publicly by DOH. Later this fall, the Department of Health will host a Social Determinants of Health Innovation Summit that will allow the applicants with the best solutions to pitch their product or idea to a panel of expert judges and audience members. It will be a chance for top healthcare professionals and investors who are focused on driving transformational change to hear new and exciting ways to better health outcomes for millions of New Yorkers on Medicaid. While there is no funding from the State available for this initiative, it is a chance for innovative companies and organizations to receive exposure to key healthcare decision makers including healthcare providers, Managed Care Organizations, and DSRIP Performing Provider Systems. The deadline for applications has been extended to June 29 at 5:00 PM. Click here to learn more or apply . The Adelphi NY Statewide Breast Cancer Hotline and Support Program offers ongoing, free support groups facilitated by a social worker or master level social work intern. Women who are recently diagnosed with breast cancer will have the opportunity to meet with others in similar situations in this group. Taking care of a person with breast cancer can be stressful. This group is designed to address the needs of caretakers. Any person who is experiencing the stress and anxiety of caring for a loved one with breast cancer is welcome. Women under the age of 40 who are diagnosed with breast cancer have unique needs. This support group will focus on those unique needs while allowing the members to share their feelings in a safe, supportive environment. Meet with other women who have been diagnosed with Stage 4/metastatic breast cancer. This group is for any breast cancer survivor who has received their last treatment more than 18 months ago. The group will meet monthly to discuss a book that focuses on cancer and coping. Discussing a book with characters on similar journeys can elicit empathetic conversations about our own journeys and connect us to other survivors. Catholic Health Services now offers a Lung Cancer Screening Program for current or former smokers. Part of the American College of Radiology’s Lung Cancer Screening Registry, the initiative offers low-dose computed tomography (LDCT) screening for those at high risk of developing lung cancer. Currently have no signs or symptoms of lung cancer. The painless, non-invasive LDCT scan takes just 10 to 15 minutes to complete and does not require fasting, injections or medications. Most insurances and Medicare cover annual screening for eligible patients. In addition to coordinating follow-up care based on national guidelines and established evidence-based practices, the program’s nurse navigators can answer questions and determine whether screening is right for you. To learn more or schedule an appointment, please call 844-247-5864 or email LUNG@chsli.org to speak to a dedicated nurse navigator.